The full weight of Justice, as we see it. Imagine for a minute that you are a judge. Most of us served on juries, and pronounced verdicts of guilt and innocence. But we don’t get to decide which evidence is presented and which is suppressed. And, the task of sentencing is in the hands of the judge. But what if you are the judge? Let me present a hypothetical case to you that is based on an actual case (Mobley v. State). Jonathan Donahue attempted to rob a restaurant. When the manager did not give Donahue the money, Donahue struck him repeatedly in the head with a gun, resulting in moderate, permanent brain damage. A jury found Donahue guilty of aggravated battery. At the trial evidence was presented by psychiatrist that Donahue was a diagnosed psychopath. How would that change your sentence? Suppose now that in addition to the psychiatric testimony a neurobiologist presented an explanation of the biological mechanism contributing to the development of psychopathy Donahue had a low MAO-A activity, a brain enzyme the deficiency of which has been associated with violent behavior. Would this additional information change the way you sentenced Donahue? If you as a judge tend to punish the criminal because we expect people to be held accountable for their actions, wouldn’t the enzyme deficiency be a mitigating factor? After all, Donahue’s capacity to control his behavior is markedly diminished, how can you hold him to same standard of responsibility as a “run of the mill” criminal?But what if you, the judge, also feel that reducing the sentence to account for the biochemical deficiency would end up exposing the community to increased danger of violence? This defect condemns the person to a life-long uncontrollable aggressive behavior.Quite a moral dilemma, Isn’t it? 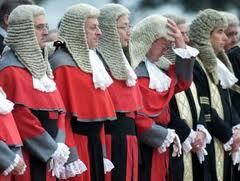 In fact, judges are confronted with it every day of the week. How do they resolve it? A fascinating study published in Science ( August 17, 2012) presented 181 state trial court judges with the Donahue case. Half of them heard the psychiatrist testimony only, the other half heard the neurobiologist’s testimony as well. How did the ‘mechanism’ testimony affect the judge’s sentencing? Did the judge see the biological deficiency as beyond the control of the individual thus mitigating the severity of the offense? Or did he see the very biological inevitability of the violent behavior as a reason to keep the offender in jail as long as possible?When asked to imagine how they would rule in a sentencing hearing, the judges who read this biological explanation cited more mitigating factors (such as mental illness) and handed out modestly reduced prison sentences—13 years, on average, compared with 14 years for judges who did not see this testimony. How would I sentence Donahue? This is a tough decision to make. My problem is not the introduction of science into the courtroom; it has brought us from the dark ages to the 21st century in a matter of a few years. DNA evidence has attained the aura of infallibility that only God had once had. Eyewitness testimony is not as trustworthy as it used to be. The lineup procedure is now subjected in many places to the scientific method to remove possible bias. But neurobiological evidence? That’s an animal of a different stripe. Neurobiological studies are by their very nature averages of a population. On average, MAO-A deficiency predicts violent behavior. But that does not automatically extend to individual cases. There are many individuals with MAO-A deficiency who control their aggressions quite successfully. Remember the Monty Python hillarious skit of the Dead Parrot? Here is a life-imitating-art story from the “you can’t make it up” department. Craig Bennet, a doctoral neurobiology student at Dartmouth put a dead Atlantic Salmon in the fMRI machine, and they showed it “a series of photographs depicting human individuals in social situations.” To maintain the rigor of the protocol (and perhaps because it was hilarious), the salmon, just like a human test subject, “was asked to determine what emotion the individual in the photo must have been experiencing.” as Wired Science (September 18, 2009) reported “when they got around to analyzing the voxel (think: 3-D or “volumetric” pixel) data, the voxels representing the area where the salmon’s tiny brain sat showed evidence of activity. In the fMRI scan, it looked like the dead salmon was actually thinking about the pictures it had been shown”. Does that invalidate all fMRI studies? Of course not. As Bennet explains “In fMRI, you have 160,000 darts, and so just by random chance, by the noise that’s inherent in the fMRI data, you’re going to have some of those darts hit a bull’s-eye by accident.” In other words, interpretation of fMRI data requires a rigorous application of sophisticated statistics. The field is not standardized and is rife with bad studies. The take home lesson is that brain science is still in its infancy, not ready for prime time appearance in the courtroom. The post You be the Judge appeared first on The Doctor Weighs In.